As computers have become such a large part of our lives, more and more we require access to different computers to do different jobs for us. Sometimes we even have multiple systems on the same desk. There is nothing more frustrating than having to deal with remembering which keyboard and mouse goes with which system. 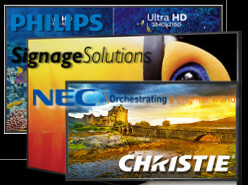 With the knowledge and capability to help you choose the most approptiate solutions for your needs, we can help! Give us a call and talk to a specialist who can help you identify the best products for your needs!